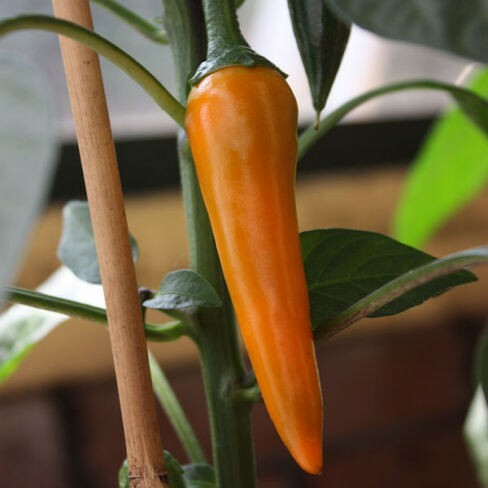 Hot pepper Bulgarian Carrot originates from Bulgary. It's a very unusual, Heirloom, medium hot tapered pepper. Hot pepper Bulgarian Carrot is also known as Shipkas. 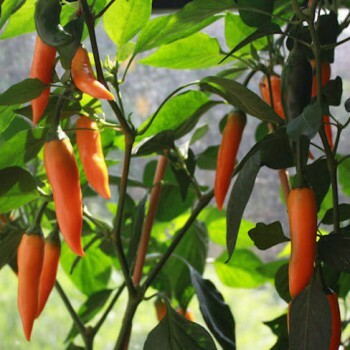 It produces baby carrot-like peppers which can grow about 10 cm in lenght. The peppers ripen from green to bright orange. They have firm, crispy flesh. The peppers grown in groups thight against the stem of the plant. Use this crispy pepper in Chili-jam, salsa's, sauces and other dishes that need a bit of spice. Non hardy annual.